Kensington Publishing Corporation, 9781617733239, 352pp. From the author of Secret of a Thousand Beauties and Peach Blossom Pavilion comes a beautifully written novel of self-discovery and intrigue. Chinese-American assistant professor Eileen Chen specializes in folk religion at her San Francisco college. Though her grandmother made her living as a shamaness, Eileen publicly dismisses witchcraft as mere superstition. Yet privately, the subject intrigues her. When a research project takes her to the Canary Islands-long rumored to be home to real witches-Eileen is struck by the lush beauty of Tenerife and its blend of Spanish and Moroccan culture. A stranger invites her to a local market where women sell amulets, charms, and love spells. Gradually Eileen immerses herself in her exotic surroundings, finding romance with a handsome young furniture maker. 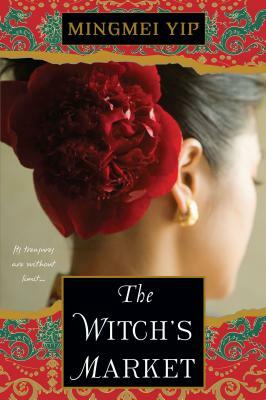 But as she learns more about the lives of these self-proclaimed witches, Eileen must choose how much trust to place in this new and seductive world, where love, greed, and vengeance can be as powerful, or as destructive, as any magic. PRAISE FOR THE NOVELS OF MINGMEI YIP "Inspiring, courageous story...Yip's prose is simple yet descriptive, immersing the reader in the sights, sounds and smells of rural and urban China." -Booklist on Secret of a Thousand Beauties "A unique and enthralling style...flawless." -Baltimore Books Examiner on The Nine Fold Heaven "Surprising and often funny....Part epic, part coming-of-age story, part modern fairy tale." --Publishers Weekly on Song of the Silk Road. MINGMEI YIP was born in China and received her Ph.D. from the University of Paris, Sorbonne. She has written for major Hong Kong newspapers, and has appeared on many national and international television and radio programs. She immigrated to the United States in 1992, where she now lives in New York City with her husband. Her novels have been published in ten different languages and she is also an accomplished musician and calligrapher. Visit her at www.mingmeiyip.com.